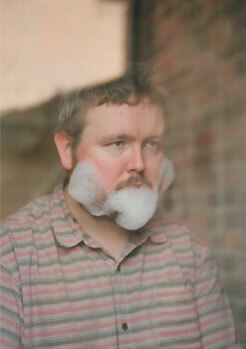 As part of the wonderful Flatpack Festival we are delighted to be partnering on a show with Richard Dawson. Touring on the back of his rapturously received album ‘Nothing Important’, Richard Dawson is one of those performers who makes an entirely different kind of sense live. Ragged guitar, discursive banter and songwriting that skips between tenderness and brutality – most memorably in his school trip epic ‘The Vile Stuff’. Tonight’s gig will begin with a short film selected by Richard himself. As well as making brilliant music Richard is also no mean collage artist, and has agreed to bring along an original piece to exhibit at the Kavarna. Earlier in the day you can hear him talking about his work at Grand Union as part of Altered Yesterdays.